WHAT IS CBRNE INNOVATION FAIR 2016? It is a global exhibition of End-User driven solutions for CBRNE which will bring together decision-makers from government, operational units, industry, science and research in CBRNE and crisis management. It will be a perfect place to build a constructive dialogue and collaboration on topics relevant to disaster risk management and crisis management. SQUARE – Brussels Meeting Centre is a centrally located venue of 13.500 m² meeting space which is housed in the extensive former Palais des Congrès, an elegant, architecturally significant building originally constructed for the 1958 World Expo. SQUARE is just across the Brussels Central railway station. National trains: Get off at Bruxelles-Central / Brussel-Central and follow the exit signs to ‘Mont des Arts – SQUARE’. Attendance is |free of charge|, but registration is required (number of visitors is limited). A confirmation will be sent via email 10–14 days after your information is received. The industry’s top performing companies and end-user organisations, Small and medium-sized enterprises, suppliers and research institutes will present their products and innovations. A special focus will be on EDEN Store and all tools developed by EDEN FP7 CBRN Demonstration Project. During the fair, EDEN will present results and achievements obtained in the last years of work in terms of technology, procedures and methods for the management of CBRN accidents. WHAT CAN YOU FIND AT CBRNE INNOVATION FAIR 2016? The EDEN Demonstration project, funded by the European Commission 7th Framework Research Programme on Secure Societies with the primary objective to provide solutions to improve CBRNe resilience and allow enhanced interoperability and effectiveness between CBRNe operators and ensuring the resilience capacity of the EU society will have its Final Conference on 11th October 2016 during the CBRNE Innovation Fair 2016! All demonstration efforts have been aimed at both integrating and coordinating existing EU capacities and competences. A key project aim is to achieve the development of a “multi-facetted system of systems approach” that will provide an EU-tailored solution able to improve CBRNe-equipment resilience and allow enhanced interoperability between CBRNe operators – the EDEN Store! The EDEN project leverages the added-value of tools and systems from previous research and development efforts, bringing other innovative solutions to improve CBRNe resilience through their adaptation and integration. It aims also at developing CBRNe research activities in the EU, linking end-users, scientists and industrial experts. The EDEN Consortium invites decision makers, operators, suppliers and manufacuters of CBRNE technologies to join its Final Conference organised jointly with the CBRNE INNOVATION FAIR 2016 in Brussels. During the event, EDEN partners will present their results and achievements obtained in the last years of work in terms of technology, procedures and methods for the management of CBRN accidents. The EDEN Store and CBRNE equipment will be presented and the film footage from the validation exercises displayed. Exhibitors are obliged to observe all time limits regarding set-up and dismantling hours. Information about shipping, booth furnishing will be send directly to exhibitors. If you would like to participate in the « CBRNE Innovation Fair 2016 » or have questions about your registration, please contact info@cbrne-fair2016.eu. The event is hosted by EDEN, a flagship projet in the CBRNE and crisis management research programme, which has received funding from the European Union’s Seventh Framework Programme for research, technological development and demonstration under grant agreement no 313077. 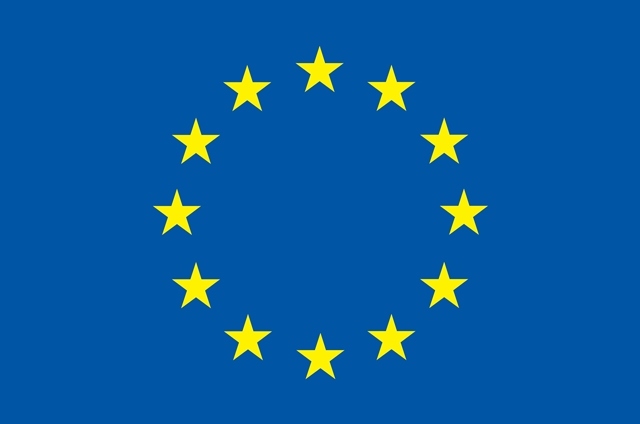 EDEN project has received funding from the European Union’s Seventh Framework Programme for research, technological development and demonstration under grant agreement no 313077.